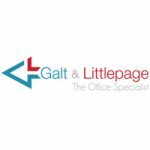 Galt & Littlepage Ltd. was founded in 1985 by Jeffrey Galt and John Littlepage, two young, energetic individuals with a hunger for success and a passion and vision to establish their own identity. Three decades later we are proud to be a full range Commercial Office Products + Solutions provider in the Southern Caribbean. We service all sectors of the market such as Corporate, Education, Healthcare and Hospitality. We represent many major global brands such as Inscape, Friant, Boss Office Products, Sharp, Fellowes, Acco, Poppin, Cello, Kangaro and more. At Galt & Littlepage we are a family business first. We treasure all our close, professional relationships with our valuable customers. Considering ourselves a true ‘Office Specialist’, we go above and beyond to get the job done. Today, we are in a very important process of “Succession Planning” at Galt & Littlepage. We’re transitioning from the first generation to the second generation of leadership in the company. This new bright, passionate and creative generation, with their individual and collaborative young minds, will bring exciting and revolutionary ideas. Ideas that will expand our horizons as they lead the company into the future. Come Experience G+L on this amazing and exciting journey! Every environment, every space in which you work, play or live provides an opportunity to tell a story. From the colours of your décor, to the lighting, the furnishings, every detail makes a statement about who you are and what you do. When it comes to your work environment, have some fun!! Create that perfect space. Let every room in your office express its own unique style and personality. Have the story of your business told… and told well.